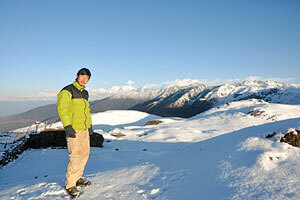 Starting off from the tri-junction of the borders of Nepal, China and India behind Kangchenjunga in January this year, Tamang took 128 days to walk right across Nepal to Rara Lake in Mugu. Sunil called it 'Trek For Change-2011' and says he did it to know himself and his country better. "I knew Nepal was beautiful, I knew Nepalis were friendly and helpful, but after the trip I realised Nepal is even more beautiful than I thought it was and the people are even more helpful and generous," says Sunil, who says he is even more impressed now about Nepal's natural and human diversity. "People said I was too young and weren't willing to help me with money," he recalls. 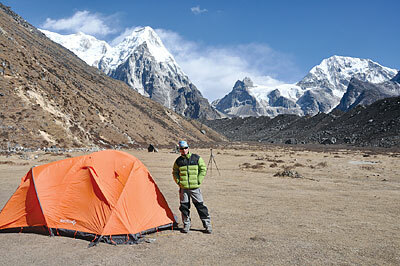 While at St Xavier's college last year, he climbed the 6,169m Island Peak in the Khumbu to acclimiatise for his trek. 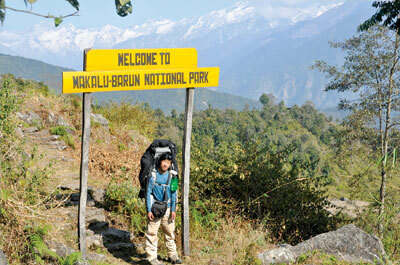 In January, with just Rs 28,000 in his pocket he set off. "During my trek I saw the hardships that villagers in the mountains face, the poverty and food shortages, which are being made worse by the effects of climate change," says Sunil, who has decided that he is going to take Environmental Science in college and work towards the conservation of Nepal's biodiversity. 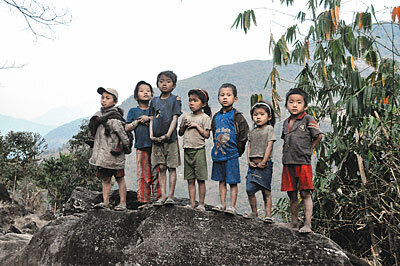 Most of Sunil's childhood friends from Syabru have migrated to the city or gone abroad to work or study. 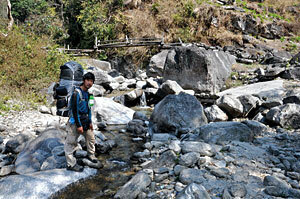 But Sunil says his trek has made him older and wiser, and even more attached to his homeland. "If only more young people travelled around the country they'd truly value being a Nepali," he told Nepali Times. Sunil is off to The Netherlands, Belgium and Austria on a lecture tour in which he will try to get young Europeans to visit Nepal. 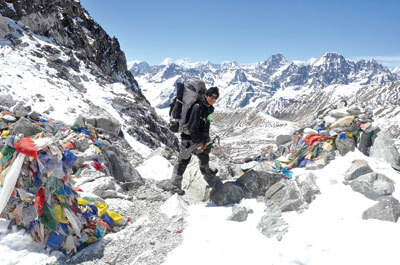 He is hopeful that his adventures will inspire both Nepalis and foreigners to relish the joys of trekking, conserve Nepal's nature and help people in remote valleys with income from tourism. Is yoga for cheap, lazy sceptics? It is so invigorating to hear that there is somebody who doesn't just get reminiscent of the past but tries his utmost to reconcile the past to the future. Because you will come to understand little by little that there are more and more amateurs of Himalayan traverse or simply trekking for the sake of health maintaining agendas. You might have read some of the health revues these days that they all insist on walking as one of the most desirable physical exercises to maintain a good health, away from cancer and diabetes etc. A lower trail from Ilam in the east Nepal passing via Solokhumbu or Okhaldhunga then Kathmandu, Gorkha, Pokhara, Kaski then all the way to Rara lake and Jumla in the west of Nepal should be the aim of some guys like Sunil Tamang to attract European and US tourists. You will notice in the very near future that there will be a great number of them would be eager to discover such an arduous adventure. very inspiring for all of us living abroad. Something nice to read about Nepal. This is me Sunil,i am just giving you link of my personal website www.suniltamang.com hoping that you might enjoy reading about my journey across the Himalayas. Man paryo ganthe. Good Spirit!! 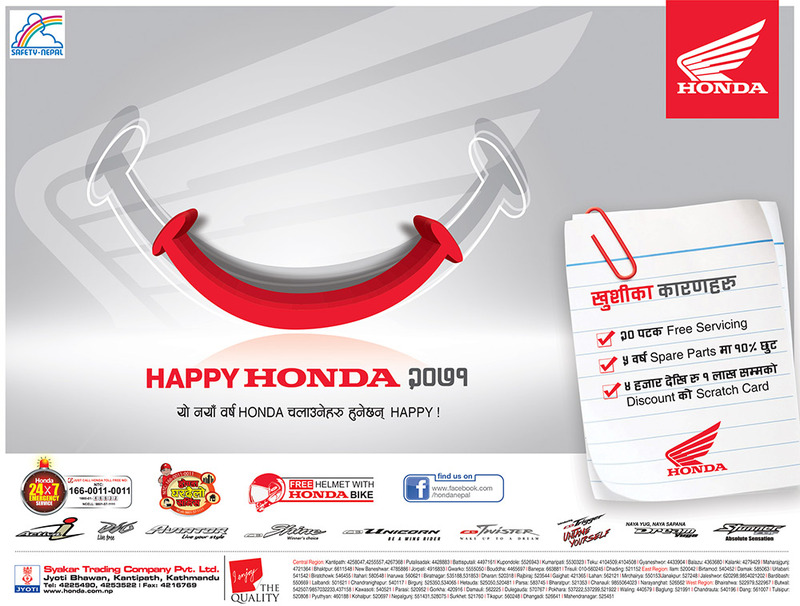 I am really happy for your achievement and your step to inspire every Nepali to be responsive and initiate good things from individual. i feel humbled. when are you going to belgium as i live there. if i can be of any help please let me know. Jane oneil @ will be there in September.Be in updated in my facebook page http://http://www.facebook.com/sunillopchan for specific date or u can write me personally. Anuj @if you would like to do same,then best way is to visit my website http://www.suniltamang.com and read day to day blog and you can write me personally to my given email id there to know more if you want.